groups, alongside the Egyptian National Curriculum in Arabic and Religion from Year 7 onward, as well as the Egyptian National Curriculum in Social Studies. A Cambridge international curriculum is followed in core subjects in year 7, leading to Cambridge Checkpoints external examinations in Year 8 in English, Mathematics and Science. Regular Arabic, Religion and Egyptian Social Studies exams are held throughout the year, especially during the main Mid-Year and End-Year exam sessions under the supervision of the Egyptian Ministry of Education (MOE). A third language (French) are introduced from Year 7 inwards. In Year 9, students enter the Senior School/ IGCSE Section, doing first one year of “Pre-IGCSE” or “IGCSE Core” Studies, with external exams held under the aegis of the British Council in five core subjects – English, Mathematics, Chemistry, Physics and Biology, as well as external MOE Arabic, Religion and Egyptian Social Studies exams. Pupils then choose which subjects to study each year, usually for a further three years, for IGCSE O Levels, AS and A2/ A Levels. 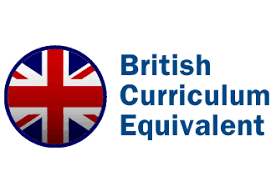 The British School MCIS has long served as a British Council-approved Examination Center for those examinations, and is subject to regular inspections.